A taproom for tap water and art-sustainability incubator. Help make it happen in Minneapolis! 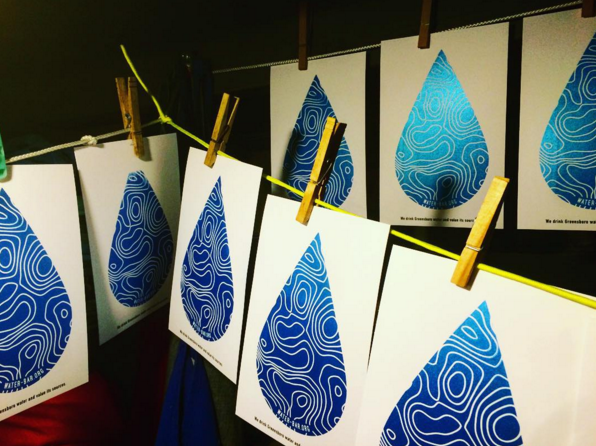 Give to the Water Bar & Public Studio 'SIP' fund and help us open our doors this spring. Over the past two years this pop-up Water Bar has served local tap waters to over 30,000 people in Minnesota, Arkansas, Illinois and North Carolina - sparking conversations about the importance of local water to lives and communties, and helping to equip people to engage with complex issues that stem from our collective attitudes and approaches to environment - issues like water pollution and scarcity, land use and urban development, climate change, and environmental injustice. In just under 2 years, we've also directly engaged over 60 volunteers and interns as Water Bar water tenders. These everyday experts help care for and communicate about water and the ways it shapes and is shaped by human culture. We want to bring Water Bar back to our Minneapolis neighborhood. 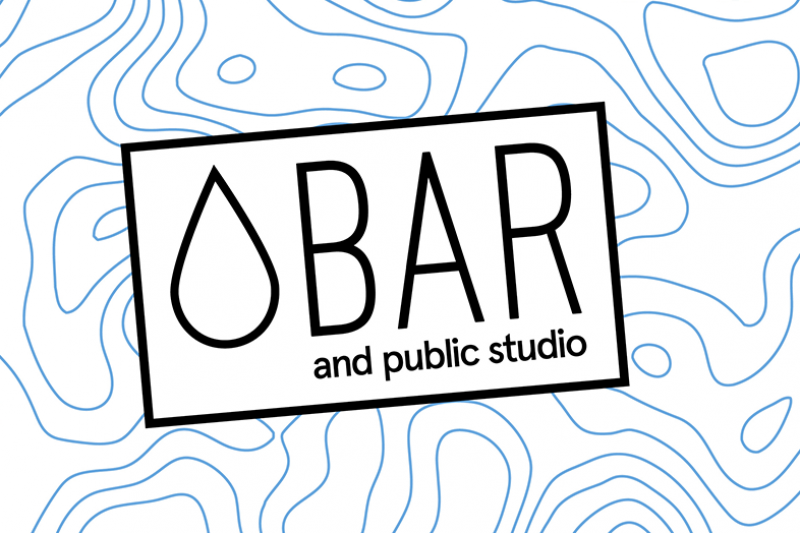 Through partnerships with neighborhood and environmental organizations, University researchers, and other artists and advocates, we have the opportunity to open a storefront Water Bar & Public Studio in northeast Minneapolis. This social space will be convivial and creative, serving water (for free), and serving as a hub for neighborhood art and sustainability events, programs, community-led classes, and more. Before we can open our doors, we need to hear from our community. We've identified a space near Central and Lowry Avenues, we're lining up partnerships and building public program collaborations, but we need to know who else wants to see the Water Bar happen in Minneapolis. Give if you can, share if you can't, and please be in touch if you want to get involved! Give to the Water Bar SIP (Studio-In-Progress) Fund! The Water Bar SIP fund is our way of showing that a place-based, collaborative art and ecology project can thrive in Minneapolis with broad community support. Importantly, donations will help to cover the costs of opening the space and gathering the supplies we need to start activating it right away. What will the SIP fund support? (1) A Water Bar 'Taproom' - Where water is all we have, and water is always free. During regular taproom hours, anyone can visit for a free glass of Minneapolis tap water. Water Bar will also feature “limited edition” pours of other local and regional tap waters, inviting guests from those communities to share their own water stories. These waters will be served by volunteer water tenders from partnering environmental and community organizations, schools, and local advocacy groups - they will provide information about the sources of these waters, related environmental issues and campaigns, and ways that visitors can get involved and take action. All of this water will be free to drink, but any tips given to bartenders will help to support the activities of visiting organizations and campaigns, providing seed funding for those existing neighborhood and community projects - or new ones developed at the bar. (2) Creative community space - for thinking, making, doing, and dreaming. Creative and accessible public programming will invite audiences from in and around northeast Minneapolis to gather, contemplate, connect and create together. 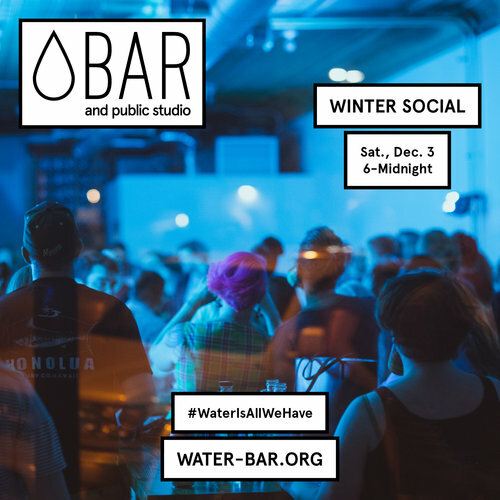 Water Bar programming will be arts-based and cross-disciplinary, amplifying art and creative culture that introduces ecological thinking, absent narratives, local and neighborhood environmental justice issues, and environmental science research that is regional and global in scope. When events are not scheduled, the space will be open for meetings and informal coworking. Water Bar will feature free water and free wi-fi, a small library of books and other reading materials, a rotating exhibition program of artwork by visual and media artists from our community, and a calendar of related programs and events across the Twin Cities. (3) The first public art and sustainability incubator in Minneapolis - placed in northeast, but tapped into regional and global research and organizing. In addition to public programs planned by Water Bar artists and partners, the Public Studio will be a platform for others within and beyond the neighborhood to research, develop, or create their own artworks, public events, and environment-focused programs. This will happen initially through partnerships, and eventually, through an open studio and apprenticeship program. As we grow the space, we'll fundraise and add new resources and offerings, including opportunities for research and art-making residencies, for anyone to teach or take classes, and for art-making on site and in our broader neighborhood. Our goal is to enable innovative art and design ideas, practices, and projects that support equitable public engagement, education, and sustainable design-development for water quality at the neighborhood and city level. How will we fund Water Bar once it is launched? We're in the process of developing a core group of partner organizations, and together with our partners, are raising operational and project-based support. We are also looking for investors who can make a larger investment in this social enterprise project. In addition to this support, we'll be earning income by continuing to offer the pop-up Water Bar to outside groups for a fee (Interested? Sign-up here! ), employing artists and neighborhood residents as Water Bar tenders and educators, and by renting our space for meetings and special events. We will also sell products and services developed through the Public Studio - including publications, media projects, and workshops for groups interested in utilizing art and creativity to engage their own community with water and environmental issues. After covering the costs of operating the studio, any profits will be redistributed to community-generated projects through the establishment of a neighborhood SIP fund for art and environmental innovation and engagement - managed by a rotating group of artists, scientists, and other community residents. Help us launch this project! To receive updates about the Water Bar project, sign-up for the Works Progress Studio newsletter. We're a public art & design studio whose collaborative projects catalyze relationships between people, place, and environment - helping to enable new possibilities for artistic expression, civic imagination, and participation in public life. We've been around in one shape or form since 2010. Led by multidisciplinary artists Colin Kloecker and Shanai Matteson, Works Progress engages an expansive network of artists, designers, organizers, researchers, educators, advocates and other creative people to realize imaginative public art and design projects that are rooted in place and purpose. We want to thank you for supporting Water Bar & Public Studio in 2016! Your contribution made it possible for us to launch this project when we had no other source of funding. We've been busy developing partnerships and plans for the year ahead, while also hosting public events, programs, and other creative projects out of Water Bar & Public Studio in Northeast Minneapolis. We've been sustaining this project through our Water Bar pop-up, which has now traveled across Minnesota and to 5 other states, connecting people with water and place stories, as well as art, science, and civic action. Thank you to those of you who have hired Water Bar for your own events, conferences, and programs ~ and to our network of volunteer "water tenders" who have pitched in behind the bar! On Saturday, December 3rd, we will be throwing a party and we hope you will join us! Bring friends, everyone is welcome here. We will be introducing our new community advisory board and our organizational partners, who we will be working with on local and statewide water projects in 2017. Soon, we'll be ending this Go Fund Me campaign, but not ending our work, or our need for support. Our partners at the Holland Neighborhood Improvement Association are fiscally sponsoring a fundraiser for Water Bar. Donations made to the project through HNIA are tax-deductible and will support our work in and around northeast Minneapolis. I continue to wish you both good luck with your Water Bar... a valuable, educational service to the community you are providing. Come to Denver soon.